Dr. Silverman is a cultural anthropologist and folklorist who has been involved with Balkan music and culture for over 30 years as a researcher, teacher, activist, and performer. Focusing on Bulgaria and Macedonia as well as on Balkan Romani immigrants to North America and western Europe, she has investigated the relationship among politics, ethnicity, ritual, music, and gender. She also explores the phenomenon of “Gypsy” music in relation to issues of appropriation, representation, and the negotiation of identities in the world music market. 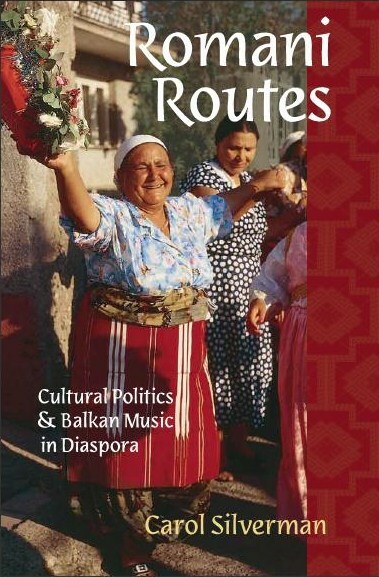 Her book Romani Routes: Cultural Politics and Balkan Music in Diaspora was released in 2012 (paperback, 2014) with Oxford University Press with an extensive accompanying website. It won the Alan Merriam Book Prize from the Society for Ethnomusicology. Her research has been supported by Guggenheim, IREX, NEH, ACLS, and NCSEER. She is also a professional performer and teacher of Balkan music, and works with the NGO Voice of Roma. Among her many articles and book chapters about Balkan folklore and Romani (Gypsy) communities in the U.S. and abroad are: Diasporic Ethnicity, Gender and Dance: Muslim Macedonian Roma in New York. In Oxford Handbook of Dance and Ethnicity, eds. Anthony Shay and Barbara Sellers-Young, Oxford University Press, pp. 160-181(2016); Gypsy/Klezmer Dialectics: Jewish and Romani Traces and Erasures in Contemporary European World Music. Ethnomusicology Forum 24(2):159-180 (2015).Macedonia, UNESCO, and Intangible Cultural Heritage: The Challenging Fate of Teškoto. Journal of Folklore Research, special issue on UNESCO, eds. Michael Foster and Lisa Gilman 52(23): 93-111(2015). DJs and the Production of “Gypsy” Music: “Balkan Beats” as Contested Commodity. Western Folklore 74(1): 1-27 (2015). Global Balkan Gypsy Music: Issues of Migration, Appropiration, and Representation, in the The Globalization of Musics in Transit, eds. S. Krüger and R. Trandafoiu (Routledge 2013); Education, Agency, and Power among Macedonian Muslim Romani Women in New York City, Signs (2012). 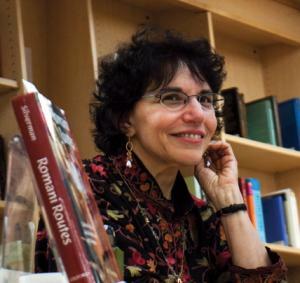 In 1996, Dr. Silverman was the recipient of a university award for Distinguished Teaching; in 2012 she won a Faculty Excellence Award; in 2014 she was inducted as a Fellow of the American Folklore Society. She teaches courses on the Balkans, Jewish Folklore, ethnography, feminism, social theory, and performative theories of culture. This project explores the globalization of Balkan Gypsy music in Western Europe and the United States by analyzing its performance, consumption and production in relation to issues of representation and political economy. Considering how collaborations and hybridity may be liberating and/or exploitative, I explore symbolic strategies through which non-Roma, including celebrity patrons appropriate and transform Gypsy music. In summer 2009, when Madonna was booed by Romanian fans after she bemoaned the plight of Gypsies, she exposed the paradox that Roma, loved for their music, are hated as people. These twin poles of admiration in the arts and marginalization in social life form a historic pattern, and their current manifestation in western popular music deserves attention. Since the fall of communism, Gypsy music has become a global phenomenon in world music contexts. As Europe’s largest minority and its quintessential “other,” Roma are socially, economically and politically marginalized in virtually all arenas of society but their music has found a secure place in European and American festivals, dance clubs and on CDs, DVDs and YouTube. The current purveyors of this Romani music, however, tend to be non-Romani DJs and members of Gypsy punk and other pop and fusion bands. What attracted these artists and their audiences? What are the iconic signs of “Gypsiness” in pop music? How and why is Balkan brass band music consumed as authentically Gypsy? How and why is the label “Gypsy” used in band names and genre categories? How is Gypsy music marketed through tropes of exoticism and authenticity? Who is collaborating with whom, and how are power relationships implicated in these exchanges? Who benefits from the popularization of Gypsy music? This project involves analysis ethnographic fieldwork, participant observation, and media analysis in transnational locations, including several US and Western European cities. In the last ten years, as the fusion music terms Gypsy Rock and Gypsy Punk have proliferated and Gypsy motifs in clothing have become fashionable, Gypsy music has become a staple at world music festivals and dance clubs in the United States and western Europe. Moreover, Gypsy style seems to be simultaneously familiar and exotic. Indeed, the fictional Gypsy musician is a ubiquitous exotic fantasy figure in western literature, art, and oral tradition. Since the fall of socialism in 1989, thousands of Roma have emigrated westward due to deteriorating living conditions in Eastern Europe; as a result, fears of Gypsy hordes are reviving and entrenched stereotypes of thievery and trickery have taken on current significance. In this heightened atmosphere of xenophobia, Roma are paradoxically revered as musicians and reviled as people. Two contrasting phenomena encapsulate the dichotomy of how most North Americans and Europeans think about Roma: the warning about Gypsy beggars in the train stations of European cities, and the craze for Gypsy music. Underlying these phenomena are the dichotomous emotions of fear and admiration. How does music mediate between these poles of fascination and rejection? Romani Routes deliberately positions the recent popularity of Gypsy music alongside the recent refugee flow of Eastern European Roma westward, contrasting the poverty of the majority of Roma with the new commercial ventures of a small group of successful Romani musicians. I further contrast both the poverty stricken majority and the few rich musicians in Eastern Europe to the Balkan Romani community in New York City, where working class refugees toil for a better life for their children while cultivating music as a vital communicative link. The placement of this book in Oxford’s American Musicspheres series reflects its ethnographic grounding in the United States while underlining the connections American Balkan Roma have with both a history of creativity amidst marginality in Eastern Europe and with world music markets. The book combines a transnational approach with an ethnography of community life in relation to music. 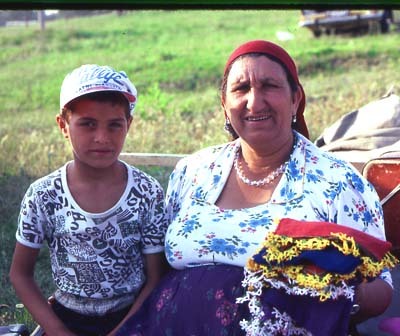 My community-based fieldwork focuses on two diasporic Macedonian Romani communities, Belmont, located in the Bronx, New York, and Shuto Orizari (known as Shutka), located outside of Skopje, with comparative materials from several Bulgarian Romani communities. In Shutka and Belmont (and indeed in many Balkan Romani communities) music and dance are emblematic of Romani identity and are embedded in numerous and elaborate ritual displays. Weddings are the main focus of families, and marriage is a transnational public event often negotiated over long distances. Music is the vehicle for enacting social relationships and enhancing status. It is also a commodity to sell to non-Roma and other Roma. I situate music in relation to individuals, to communities, to states, to policy, and to world music markets. I want to confound the simplistic assumption that music starts out “pure” or “authentic” in bounded communities and becomes hybrid only when it moves to non-Romani markets. I show how innovation, hybridity, and market forces all operate within communities, and between communities in the diaspora, and how Romani musicians move among these sites. I also examine how hybridity is recast in transnational sites and commercial venues by managers and producers. Balkan Romani musicians have been professionals for hundreds of years, marketing their product and tailoring their performances to Romani and well as non-Romani patrons. The interplay between economic necessity, marginalization, identity formation, and symbolic display via music is the subject of this book. This project explores the gendered dimensions of education and sexuality among Muslim Balkan Romani migrants to New York City from the 1990s to the present. My research has shown that female education is outpacing male education in the second generation and that females are more likely to enter professional labor markets. Placing my work in the literature on gender and power in relation to immigrant family, school, and community dynamics, I investigate the reasons for this trajectory. My analysis of the Romani case takes account of the ideal patriarchal family paired with considerable female domestic and financial responsibility and decision-making. Female autonomy however, is severely hampered by sexual restrictions, but this may contribute to educational success; young males spend most of their time on the street while young women are at home, studying or engaged in domestic work. Furthermore, on the street and in school, males are more stigmatized than females in terms of race and are thus less optimistic about their futures. Using the insights of long-term ethnography, I explore how changes in education and the management of sexuality have profoundly influenced gender relations during the last twenty years. A grant from the Center for the Study of Women in Society partially funded this research. This project explores how and why Balkan Romani (Gypsy) music has become a symbol of the “exotic authentic” in recent European and American fictional and documentary films. How have directors and composers, who are all non-Roma, employed sounds in relation to images to create iconic Gypsies, and what are the inherent power dimensions of their use? Roma (who have always been marginal) emerged as “exotic authentics” during postsocialism, precisely the time when their social, political, and economic status declined. How, then, does marginalization serve to confer authenticity in music? This project examines how artistic forms are constructed and trafficked globally, highlighting issues of representation, control, and appropriation.